The Upcycled O Brother Quilt Top Completed! I had forgotten to share so much in the past month! Sewing has happened at a Summer Break pace but it is happening. Writing about it has been happening less. O Brother Quilt Top has been finished ! This quilt is made from 100% up cycled garments. I call them my thrifted, gifted and found. They are mostly from the blue bins at the Goodwill where you can buy textiles by the pound for very little. I choose mostly 100% cotton mens button up shirts but am not afraid of blends. I piece all of my quilts using Aurifil 50wt threads. There was no way to take a photo so I had the not so little guy run into the sunset with it. He was not thrilled about doing this at all. I may have had to bribe with ice cream but it got the job done and that is what was needed! This was in Jun and now it is almost August...YIKES...so much catching up to do! 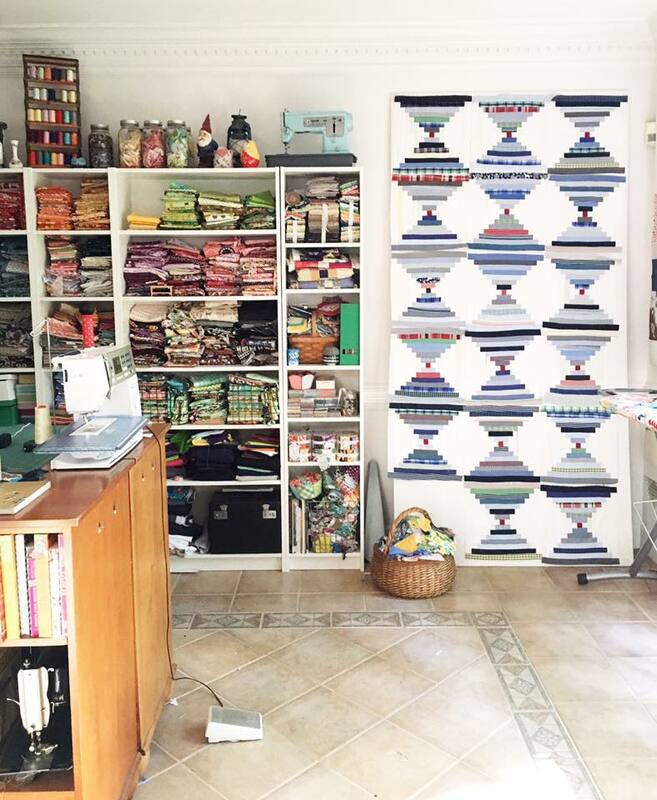 This quilt will be sent to Mandy Leins for her incredible quilting and then time to bind! Here it is almost finished up on the design wall. I love the way the different fabrics give the quilt a texture and depth that regular quilters cotton cannot. It came together beautifully, Kim. 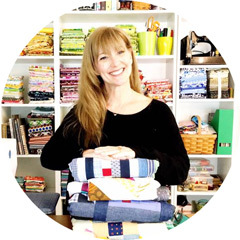 I look forward to seeing the magic that Mandy adds to the quilt! The ice cream was a great price for such a such a lovely scene. This is a beautiful quilt design. The fabrics just sparkle in it.